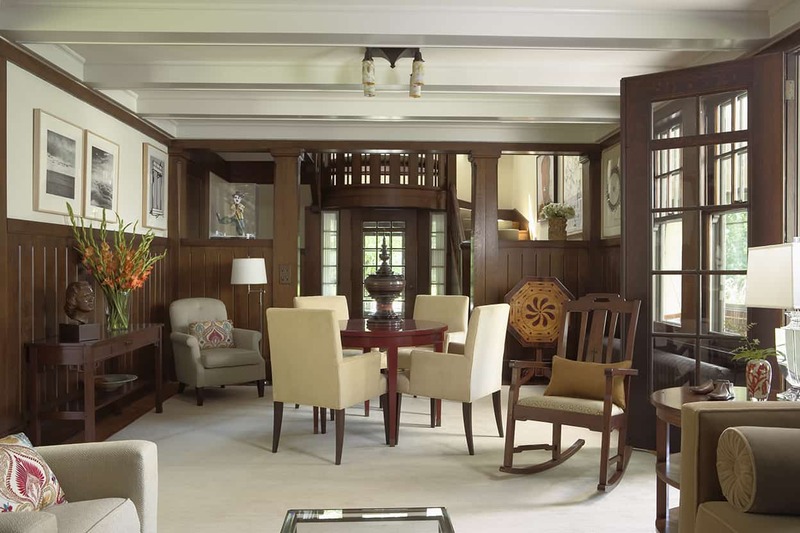 This beautiful home, built in 1911, was designed in the Bungalow/Tudor Villa style by Clarence H. Johnston, Sr., one of Minnesota’s most significant architects. 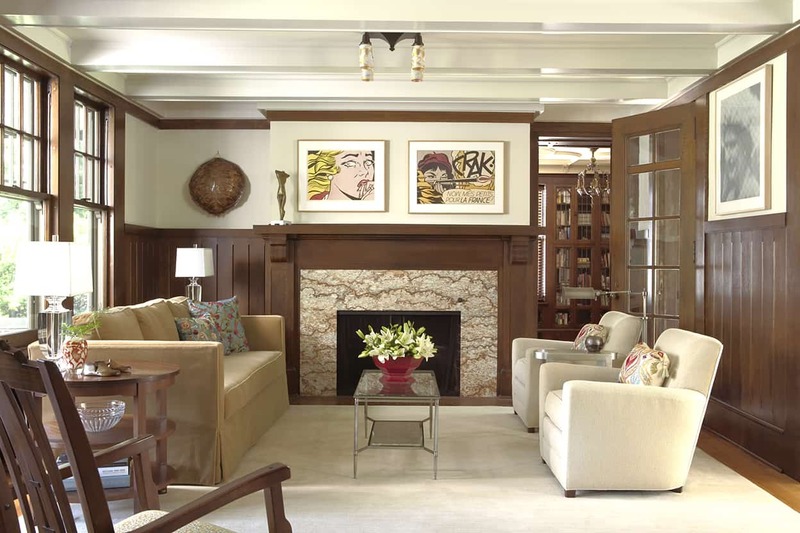 The evolution of the structure shows the imprint of successive owners. 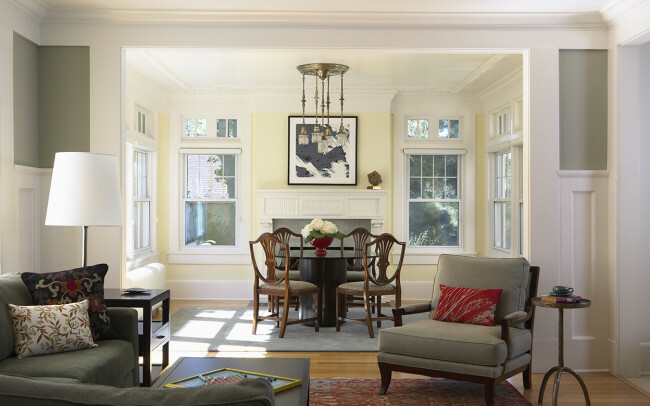 The home’s current owners had undertaken an ongoing, thorough, thoughtful, and respectful renovation. 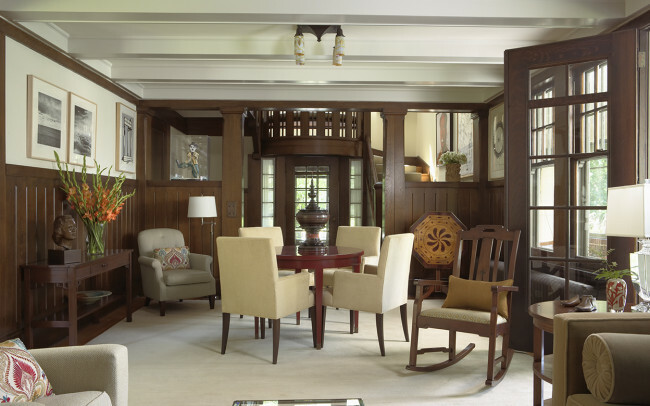 We worked with the family to update the interiors of the first floor and stair hall. 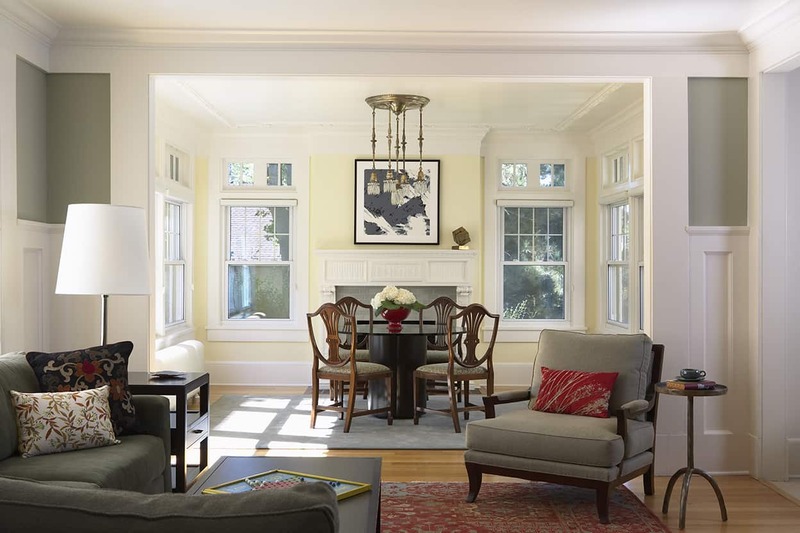 The original dining room had been converted to a family room, a sunroom at the rear of the house became the dining room, and a butler’s pantry—walls removed—became a breakfast area connecting the kitchen and family room. 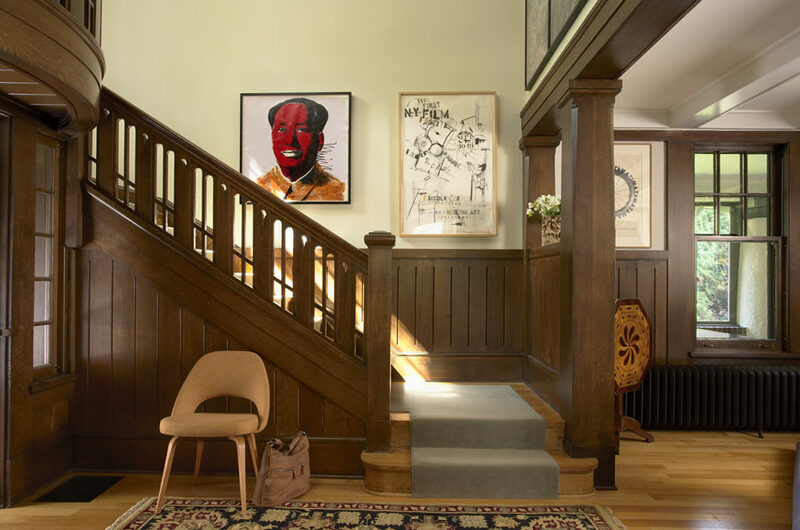 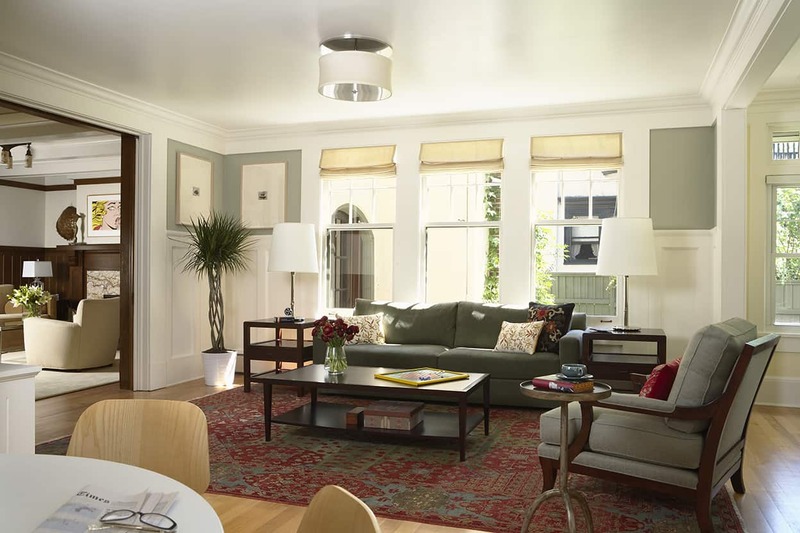 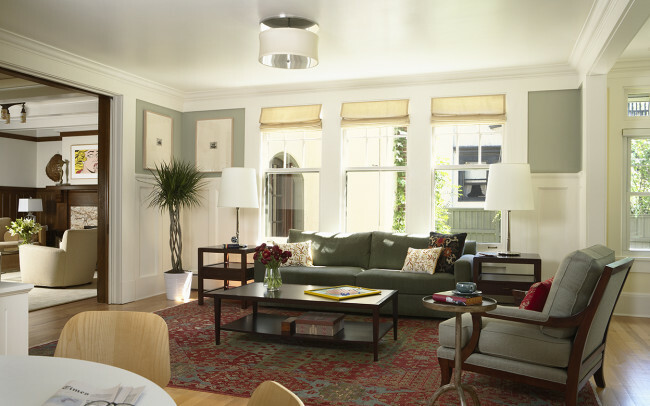 A fresh, cohesive look with contemporary furnishings was developed which creates a bridge between the home’s historic character and the owners’ significant collection of modern art.